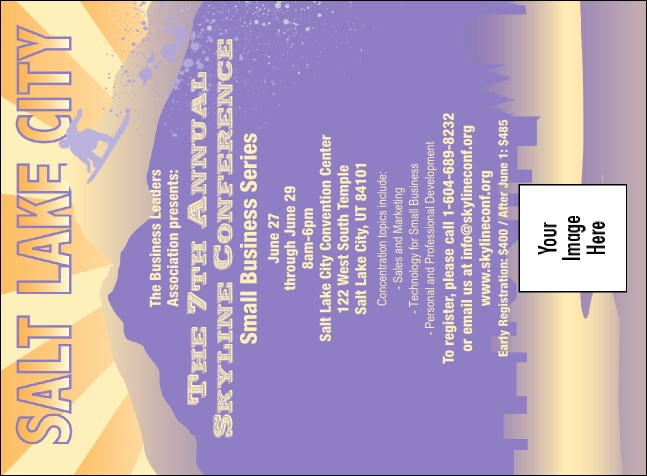 Have your event as organized as the city itself with this Salt Lake City Invitation! With the beautiful Wasatch range in the background, this will sure draw more people to any event! Seal the deal with a Salt Lake City Event Kit complete with tickets! TicketPrinting.com, the spirit of online printing.